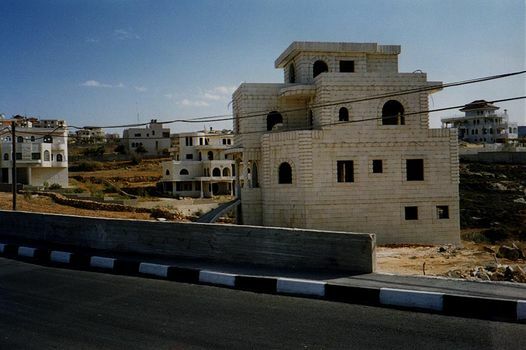 Two villages north of Ramalla: one where a medieval structure is being renewed; the other where expatriate Palestinians are building mansions. 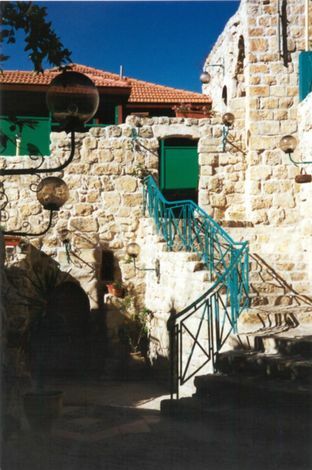 Ramalla is the most westernized West Bank town, partly because it hardly existed in 1900 when it arose as a missionary center. 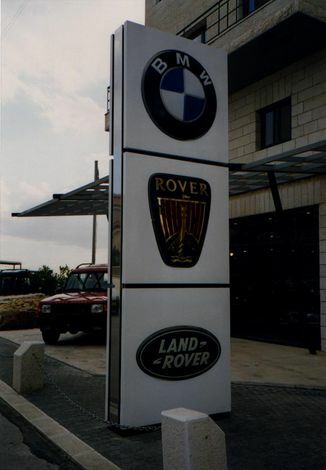 "Westernized" means many things, including conspicuous consumption. 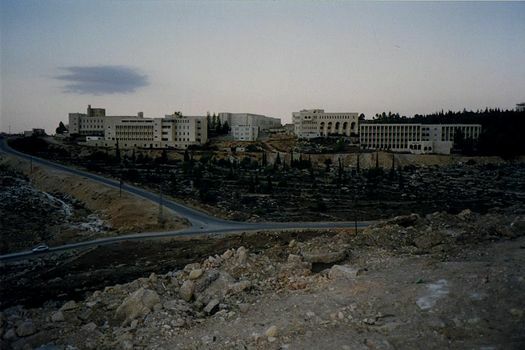 It also means Western-style education, as here at Birzeit University, the best-known of the West Bank's universities. 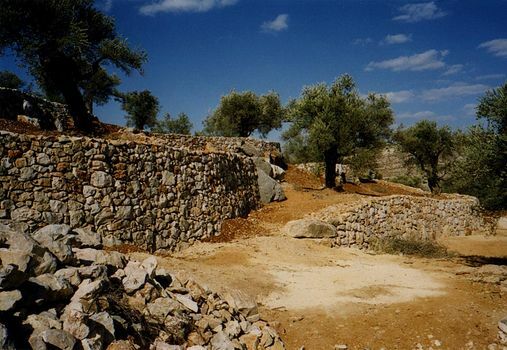 A couple of miles east of the village of Birzeit Jifna has a medieval fortress restored as a tourist center. The view here looks inward from the perimeter wall. Stairs from the courtyard to the new restaurant. 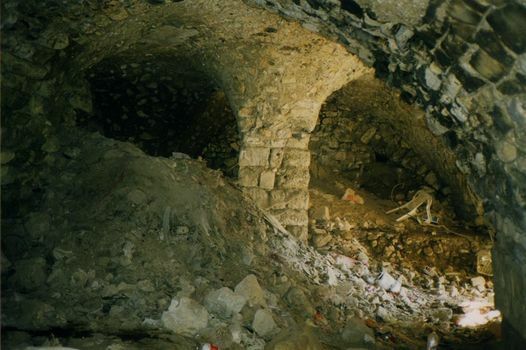 Down in the basement of the fortress, work goes on excavating the rubbish of centuries. 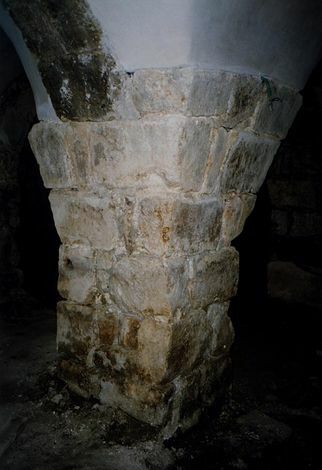 Strange shapes are unearthed, with tapered piers no longer attempted but familiar from the Crusader handiwork at Akko. 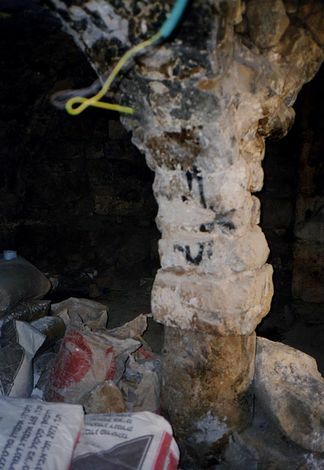 At the bottom of one such pier, the anomaly of a column. 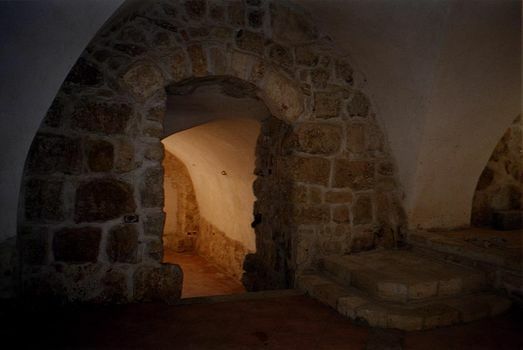 Higher in the fortress, the rehabilitation of some rooms is complete. 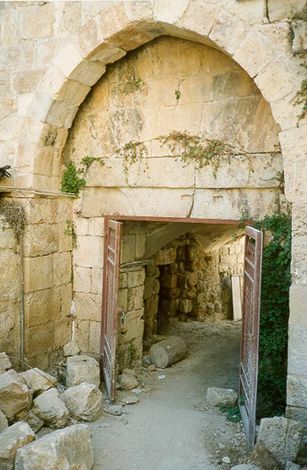 Entrance to the fortress; note the slit for the portcullis. 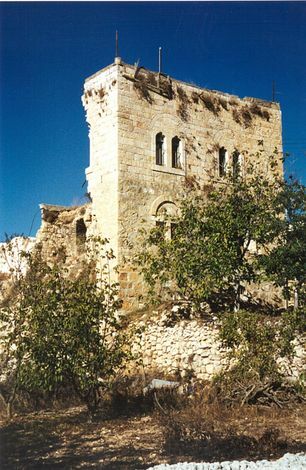 An adjoining ruin, probably from the 19th or early 20th century but with nothing left except a facade. A few miles north of Jifna is the village of Sinjil, its name a corruption of St. Gilles, the hometown of a French crusader. To its west, there is another village known to some local architects as Chicago. Its real name if Jiljilya. 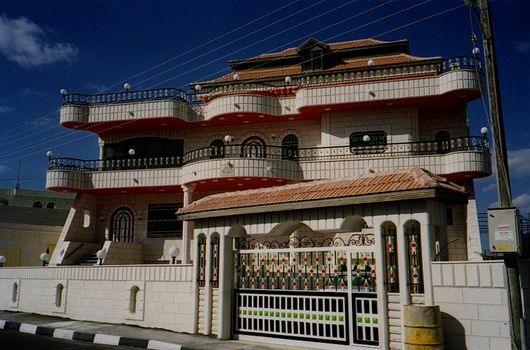 Few if any West Bank villages can compete with Jiljilya when it comes to new villas. Many stand empty most of the year, while owners continue working abroad. 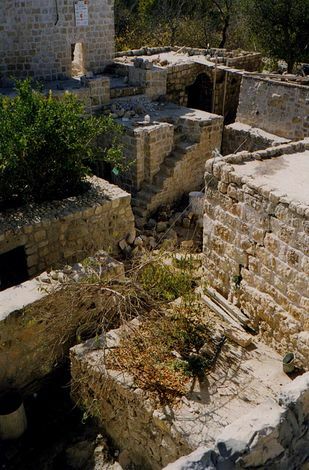 The houses aren't useless, though: they're a pledge from the owners to themselves that they haven't forgotten where they came from--haven't had their roots extirpated by 30 years of military occupation. Precious few Israeli homes are built on a comparable scale. Another view of the houses fronting the road through Jiljilya. Jiljilya's expat money goes into new olive terraces, too. Viewed through the lens of the economist, they are probably a waste of money, but their builders use a different lens.